This Item is No Longer Available. 505699015 has been superceded to 505699001. 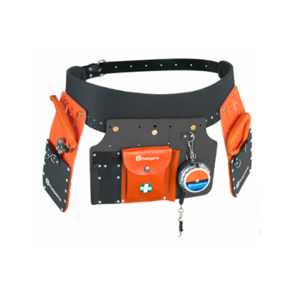 Belt Includes Tool Belt, Two Holsters, Rear Tape Carrier, Lifting Hook, Lifting Tong and Measuring Tape. Ask us about the Husqvarna 505699015 Tool Belt Kit (Use 505699001). Please no repair questions. Your Q&A may be posted to Jackssmallengines.com to help other shoppers, like you, with their purchasing decisions. Thank you.